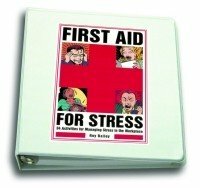 The Stress Effect targets leadership and draws on decision making examples provided by leaders in stressful times. Dr. Thompson points toward the fallacy of thinking a great response in one situation would “be a one size fits all” leader. He leads the reader through the connections between stress and decision making, and the relationships between emotional intelligence and stress. The first half of The Stress Effect draws the reader into the workings of the brain. At first I thought I was reading a neurological text, until I realized he was establishing a foundation for those who would become practitioners, learners, and trainers. Having read more “clinical” versions on brain interactivity, I noted his writing was more toned down. He wasn’t opening my head for me to see, he was opening my eyes to my head. He built his case slowly, methodically, and purposefully to provide practitioners the tools necessary to continue building their own stress programs. Nearly mid-way through his book, Dr. Thompson shifts gears from relationships of subjects to relationships between the subject and preparation for responding to stress. I certainly appreciated the offers for preparation. It was not long before I understood more about previous practices and real life events in my life. While The Stress Effect is timely, the lessons from Dr. Thompson are timeless. The reader soon learns stress is not an either/or condition, it is a “level of” condition. As Dr. Abraham Maslow pointed out in his Hierarchy of Needs, any one of our needs creates stress to some degree, but not necessarily the same degree or with the same effect. A level of stress in one areas can impact other areas, depending on its severity. It is the leader who needs to understand stressful situations, how to respond to or lead people through stressful times and events, and the consequences for both solutions and chronic conditions. As his final chapter, Dr. Thompson offers the Seven Best Practices. His ARSENAL provides readers a glimpse of practices to reduce, resolve, or remove stress. There are ways to reduce stress through practice, planning, and processes. ARSENAL provides the reader tools and ideas to overcome many of life and workplace stressors. At first thought, I looked at The Stress Effect as purely organizational or business. While those are his target audience, I submit that he provides readers with a span to cover all phases of life. His analogies, examples, and connection with life are easily transferable to both the CEO and the mother faced with a household emergency, from the pastor serving his congregation to the fireman responding to a call, and from the child reacting to bad grades to the teacher’s response. I highly recommend The Stress Effect. Dr. Thompson’s approach is on target for practitioners, trainers, educators, and students of emotional intelligence. Understanding stress, the effect on both decisions and personnel, the consequences on the entire organization, and resulting effects on customers, economics, and service are critical. While many debate the recovery of the recent global downturn, the world will not soon recover completely. Stress remains in nearly every household, in every organization, and in every mind. It is one of those things we know has happened or will happen, but with The Stress Effect we will have an ARSENAL to at least address the situation before more dumb decisions are made. No one can resist the Stress Control Biofeedback Card! Don't underestimate the power and pull of this little card. It's simple, it's fun, and it's something your participants can carry away and use, over and over again. You know how it works. Simply hold your thumb on the Stress Control Card indicator for about 10 seconds, until it changes color. Black - you need a vacation! Purpose and Direction, Leadership, Interpersonal Relations, Decisions, Ground Rules,and Meeting Environment. Individuals begin by evaluating and learning about different aspects of meetings, and then use exercises and activities from the "toolbox" to improve their meeting skills. Finally, participants apply their skills using these tools and the customizable templates during actual meetings. Upon completing all 6 modules, participants have a personalized meeting skill book to use as a handy reference tool! Understand the nuts and bolts of effective meetings. Identify the key meeting elements in need of repair. Tune up individual and group meeting skills. Designed to be used one at a time or in sequence, each module includes a short survey to determine developmental needs, criteria for effective meetings, tools for repairing meeting skills, skill-building activities, tips for using tools in future meetings, key learning points, and customizable templates on disc. t may seem like the celebration of a brand new year was not that long ago, but we will soon arrive at the midpoint of 2011. If your New Year inspiration has faded renew it each day with one of Simple Truth's top selling gift books, Inspiration 365. This book compiles Zig Ziglar's favorite life quotes with one for each day of the year making it a perfect gift for a graduate, teacher or coach. Encourage others to start each new day with a positive outlook! Start each day with a motivating thought to inspire you throughout your day. Zig Ziglar is a legend when it comes to motivation and the Simple Truths gift book and movie, Inspiration 365, is a compilation of Zig's favorite life quotes. 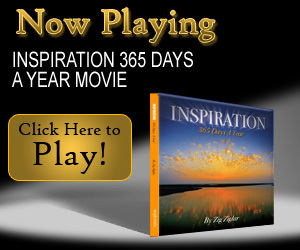 Take a few minutes to watch this movie and be inspired! We can all relate to the stress but how we handle stress may be different for each of us. See the sample content and the product link below to share with others this new perspective about stress. Stress is a Choice provides ten rules that provide an inspired road map to simplifying your life and to choose less stress. A new perspective on dealing with stress may change your life.